OTT from Vimeo or the Alternative Unscreen, Project Forward Contemplates the Shift. From Kinyo. HomeFrom KinyoOTT from Vimeo or the Alternative Unscreen, Project Forward Contemplates the Shift. From Kinyo. Project Forward is considering moving to Unscreen, a video streaming platform that might be better suited to growth. Currently Project Forward uses ott.vimeo.com to power it's the streaming aspect of its platform. 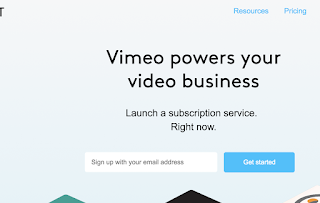 The service has shown a lot of promise, even before it's acquisition by vimeo. With the growth of subscribers on the platform in mind, a platform that leaves more money in the hands of creators might be the right move. The streaming aspect of Project Forward has struggle to grow, of course as the founder I am sure that if we continue a strategy of providing value to the community we are building a solid foundation for creating and acquiring the type of media that will enrich to lifestyles of the audience we are nurturing. Project Forward also partners with companies like Bravo Pay (https://trybravo.com/) to provide member rewards.